Russian President congratulated Valentina Tereshkova. 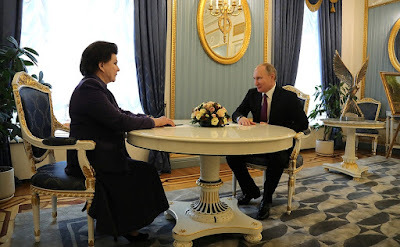 Putin.BLOG Congratulations Russian President congratulated Valentina Tereshkova. 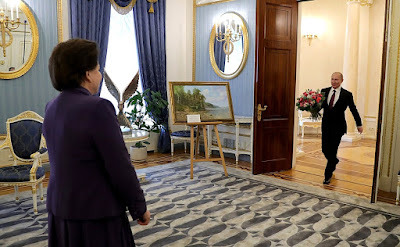 Vladimir Putin and Valentina Tereshkova in Kremlin. Ms. Tereshkova, please accept my warm and sincere congratulations on your birthday. Thank you very much. I am very touched. Thank you. Thank you very much for your services to the Fatherland. (Asculpture, Seagull LandingonWater, by Iulian Rukavishnikov, and a painting, Seagulls over the Volga, by Vitaly Zaitsev). Thank you very much, Mr. President. I am moved by this sign of your attention and by your kind words. He [Acting Governor of Yaroslavl Region Dmitry Mironov] will need your support. I know that he is making a genuine effort and working hard. A lot still remains to be done to win the people’s trust and support. I know that you continue your active work in the Duma, and I would like to thank you for this as well. When we have people like you in parliament, it raises people’s trust in our top legislative body. 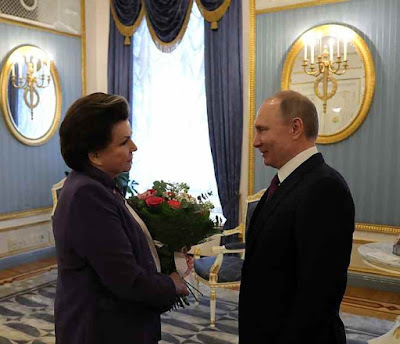 Vladimir Putin congratulating Valentina Tereshkova on her birthday. President Putin with Valentina Tereshkova in Kremlin. 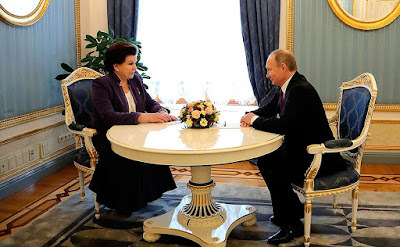 Russian President with Hero of the Soviet Union Valentina Tereshkova. 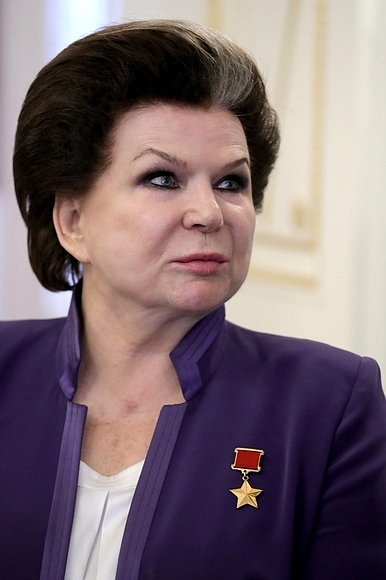 Pilot cosmonaut and Hero of the Soviet Union Valentina Tereshkova. 0 Comment to "Russian President congratulated Valentina Tereshkova."